Food preservatives are substances added or sprayed in food to restrict the growth of fungi, bacteria, and other harmful microorganisms. Food preservatives are broadly classified as natural and synthetic. Natural food preservatives is dominating the market, according to stats provided by Coherent Market Insights in 2016. Growing population and increasing prevalence of foodborne diseases is expected to boost growth of the market, as preservatives are used in food to increase shelf life and maintain optimal quality of food. Food and beverages are stored after addition of food preservatives to reduce the possibilities of bacterial infection. Also, high prevalence of various foodborne diseases and disorders such as abdominal pain, vomiting, and diarrhea is expected to fuel the demand for food preservatives during the forecast period. Moreover, growing awareness for natural food ingredients and side effects of synthetic preservatives is propelling the growth of natural preservatives. The global Food Preservatives market size is estimated at US$ 2.23 billion in 2016 and is expected to expand at a CAGR of 3.30% from 2017 – 2025. The meat, poultry & sea food is dominating the food preservative market in 2016 and the trend is expected to continue during the forecast period. The demand for protein food and organized retail is expected to drive the food preservatives market. Moreover, changing demography and increase in disposable income especially in Latin America and Asia Pacific also, innovation in meat processing technology is expected to fuel the market for food preservatives. Furthermore, supportive government initiatives in Asia Pacific, is expected to boost the market for food preservatives. For instance, in July 21, 2015, The Government of India plan to set up 13 Mega Food Parks in various states of India, which includes, Andhra Pradesh, Bihar, Chhattisgarh, Himachal, Gujarat, Jammu & Kashmir, Madhya Pradesh, Maharashtra, Odisha, Rajasthan and Uttarakhand. Moreover, by 2017, The Spice Board of India, set up by the Ministry of Commerce to promote and develop Indian spices across the world, aims to export US$ 3 billion. One of the major challenges of the food preservatives market is the stringent government regulations. For instance, on June 20, 2016, the Food Safety and Standards Authority of India (FSSAI) by the Government of India banned the use of potassium bromate and cyclamates in food. Moreover, the Government of the Hong Kong special Administrative region, on July 01, 2008, introduced new regulations for controlling the use of preservatives and antioxidants in food. Also, the National Food Safety Standard for Food Additive Use (GB2760-2014) was introduced on December 24, 2014 by the National Health and Family Planning Committee of China. It will be implemented on May 24, 2015. Europe, followed by North America and Asia Pacific accounted for major share in the global Food Preservatives market in terms of revenue in 2016 and the trend is estimated to remain the same over the forecast period. In 2016, Europe held a share of 28.1% in terms of value, followed by Europe (27.6%). The growing demand for confectionery in Asia Pacific due to growing population, increased urbanization and growing retail and hospitality sector is expected to drive growth of the global food preservatives market over the forecast period. According to a study conducted by Coherent Market Insights, the global anti-oxidants market is expected to witness a CAGR of 3.32% during 2017-2025, which is expected to fuel growth of the global food preservatives market. Product portfolio expansion and geographical expansion are the key market trends which are expected to shape the industry in the near future. Major players in the global Food Preservatives market include Univar Inc., Hawkins Watts Limited, Cargill Inc., DSM N.V., Galactic, Danisco A/S, Tate & Lyle PLC, and Brenntag AG, Kemin Industries Inc., AkzoNobel N.V., among others. Food preservatives are substances added or sprayed in food to restrict the growth of fungi, bacteria and other microorganisms. Various processes such as drying, cooling, freezing, boiling, heating, salting, sugaring, smoking, pickling, lye, canning, jellying, jugging and burial are used in food preservation. Moreover, modern industrial techniques for commercial uses are pasteurization, vacuum packing, artificial food additives, irradiation, pulsed electric field electroporation, modified atmosphere, nonthermal plasma, high pressure food preservation and bio preservation, among others. Burgeoning growth of the food industry across the world is in turn propelling growth of the global food preservatives market. For instance, according to European Commission, the food and drink industry of European Union’s is the largest manufacturing sector and witnessed a significant growth in the last decades reaching over US$ 98.37 billion and is expected to double during the forecast period, due to regime of trade for various agricultural products. Europe is dominating the global food preservatives market followed by North America and Asia in 2016, according to the stats provided by Coherent Market Insights. Food preservatives are used across dairy, meat and poultry, sea food, beverages, confectionary, among others during packaging and processing in order to protect them from bacterial effects. Growing urbanization and hectic life style of people especially in developed and developing region, tend to incline towards convenience food. 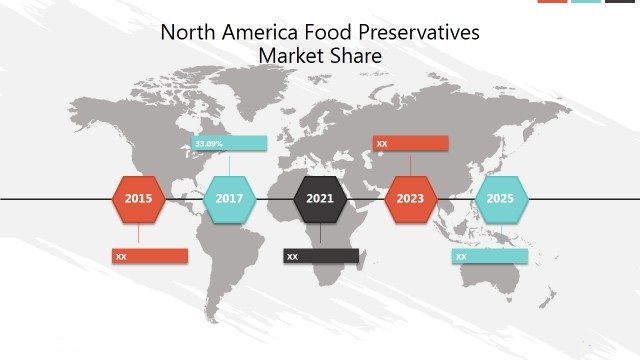 The food preservatives market is driven by increasing demand for packaged food by the growing population and propelling urbanization in Asia Pacific. Food preservatives are classified into natural and synthetic. According, to a study by Coherent Market Insights in 2016, the natural food preservatives is dominating the market and is expected to grow at a CAGR of 3.31% during the forecast period. Increasing food borne diseases is expected to propel the demand for food preservatives market, as it helps to increase the self-life and maintain the overall quality of the food for a longer duration of time. Moreover, natural food preservatives are the traditional preservatives and uses old techniques or processes which includes, making of jam, pickles and juices, among others. Also, salt is applied over meat and fish to preserve from bacterial effect. Synthetic food preservatives are most effective and seems to be the best for longer self-life. For instance, ethanol is used to preserve wine to increase the self-life. Moreover, various synthetic antioxidants such as Vitamin C, butylated hydroxyanisole (BHA), sodium nitrate, benzoic acid and sulfur dioxide are used to restrict the bacterial growth and increase the self-life of food. Stringent government regulation is expected to be one of the key challenge for food preservatives market from 2017-2025, for instance in June 20, 2016, The Government of India ’s (GOI) Food Safety and Standards Authority of India (FSSAI) introduced new regulations 11,000 food additives used in various food categories. The new list of food additives bans the use of potassium bromate and cyclamates in any food category. This report segments the global Food Preservatives market on the basis of source, functionality and application. On the basis of source, the market is segmented as natural and synthetic. On the basis of functionality, the global Food Preservatives market is segmented as anti-oxidant, anti-microbial and others. On the basis of application, the global Food Preservatives market is segmented into dairy, meat. Dairy Products, Meat, Poultry and Sea Food, Bakery, Beverages, Confectionery and Others. Note- We will profile top 10 companies’ profiles. Also, we will provide the exhaustive list of domestic players for every region. *Browse 90 market data tables and 40 figures on "Food Preservatives Market - Global forecast to 2025”.